New trends in mental healthcare practice and a rapid increase in the aged population are causing an explosion in the fields of clinical gerontology and geropsychology today. This comprehensive second edition handbook offers clinicians and graduate students clear guidelines and reliable tools for assessing general mental health, cognitive functioning, functional age, psychosocial health, comorbidity, behavior deficits, and more. Psychopathology, behavioral disorders, changes in cognition, and changes in everyday functioning are addressed in full, and a wide range of conditions and disorders common to this patient population are covered. 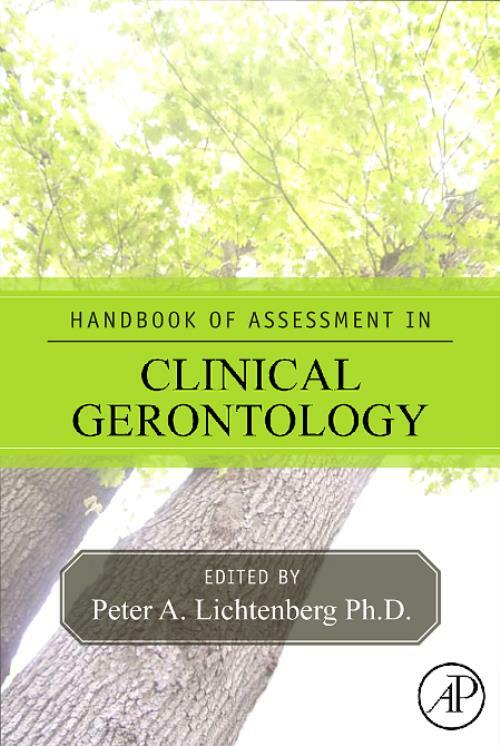 Each chapter provides an empirical review of assessment instruments, assessment scales in their totality, a review of how these instruments are used with and adapted for different cultural groups, illustration of assessments through case studies, and information on how to utilize ongoing assessment in treatment and/or treatment planning. This combination of elements will make the volume the definitive assessment source for clinicians working with elderly patients.